Maruti Suzuki Swift comes with a ground clearance of 163 mm that helps this hatchback to deal with the regular rough patches and potholes on the road. The 163 mm of ground clearance means the Maruti Suzuki Swift can take on several models in the midsize sedan segment and compact sedan segment in terms of dimension. No wonder, being a very popular car in India, the Maruti Suzuki Swift comes with practical elements and this is one of them. Compare ground clearance of Maruti Suzuki Swift with its immediate competitors. 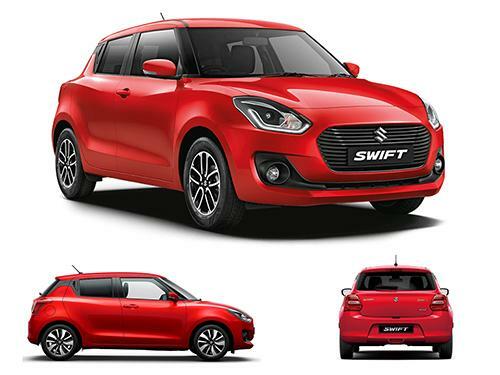 Ground clearance of Maruti Suzuki Swift competes directly with Volkswagen Polo, Maruti Suzuki Baleno, and Hyundai Elite i20. Put straight, any ground clearance crossing 170mm is considered to be decent, whereas, in case the ground clearance of a car is below 160mm, it's not good for Indian roads. Another thing that should be considered while making a buying decision is that cars with ground clearance of less than 160mm would be fine if the intended driving terrain doesn't have any bumps. Think of what sort of roads do you have in your locality and at your expected visits, then zero down your purchase.